Although Merlot has taken a back seat to Pinot Noir lately, it has not lost its pedigree when planted on an appropriate site and allowed to blossom in the cellars. A deceptively dry wine, with blackberry and plum flavors complemented by hints of oak and dark cocoa. The velvety texture and mild tannins leave a soft but lasting impression on the palate. When stored properly this wine will easily last five to ten years. As a red wine Merlot is generally very food friendly pairing well with lamb, beef, pork, and a variety of cheeses such as Edam, Gouda, and Aged Cheddar. Favorite food pairings include, Rosemary and Herb Crusted Lamb Chops, Tandoori Beef Skewers, and Cherry Glazed Pork Loin. 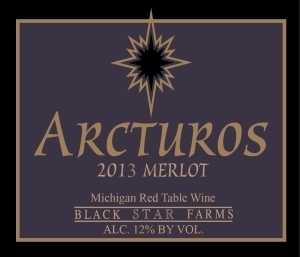 Merlot is one of those wines that we wish we had more of, or that we could have it more consistently from year to year. We are working on this dilemma, but for now we only have this wine in limited quantities. The fact is that Merlot is almost as finicky as Pinot Noir can be and also requires a good vineyard site to be at its best. Once the growing conditions are met, it will always be the better vintages that allow this classic variety to blossom to its fullest. In this vintage, I love the dark berry fruit, the broad yet refined use of oak, and the soft, lush tannins.